Sales Momentum, what I call the SALES MO, is just like physical momentum. It’s easier to keep it going than it is to start fr om scratch. When I was 17 years old I went away to college, my family wasn’t particularly well off but I had a scholarship and a part time job. My father bought me an old 1984 Chevy Luv pickup truck and that little truck got me back and forth to more than a few places. I was not particularly mechanically inclined though and had no idea how to fix it when things went wrong. For the better part of a year the battery was dead and I just dealt with it. The truck was a manual stick shift, so I would just “POP” the clutch to get the motor running. If you aren’t familiar with the concept of “Popping” the clutch, it basically entails you getting the vehicle moving fast enough to slam the vehicle into 2nd gear and the engine would magically start running. The truck made a few noises when it ran, (we named the truck Gabby because she talked a lot), but it basically got my friends and I where we needed to go. I learned to park the truck on a hill backed into a spot. This way when it was time to go I’d just put it in neutral, release the parking break and wait until I had some speed before putting it into gear to start her up. More than a few times though I’d let a friend borrow Gabby and this friend would find a much “better” spot right in front of our building and would manage to parallel park Gabby. Now I ask you, have you ever tried to move a truck that won’t start-up out of a parallel parking spot? Can you imagine having to push a truck 6 inches forward, stop it completely then crank the wheel and push it 6 inches backwards? Not only is it hard to push a truck when the wheels are cranked, but it’s almost as hard to stop it once it’s going! In those days bumpers were still for bumping, at least that’s what I told myself and the body builder guy who drove that little white Geo Storm. My point is this- Don’t parallel park your prospects. If you block them in with nowhere to go it’s awfully hard to get your Sales Mo moving again and there is bound to be a few bumps and scratches along the way. Harness the Sales Mo and you won’t have to worry about stalling out or getting run over. Always say YES before you say NO. Keep the conversation positive. No matter what a customer says, objects to or implies just start the next sentence with something spectacular like “GREAT!”, “PERFECT!”, “I LIKE IT!”, “EXCELLENT!” and keep the conversation moving forward. If you try to correct the customer’s preconceived notions or convince them that their request is wrong you’ll be setting your self up for disaster. 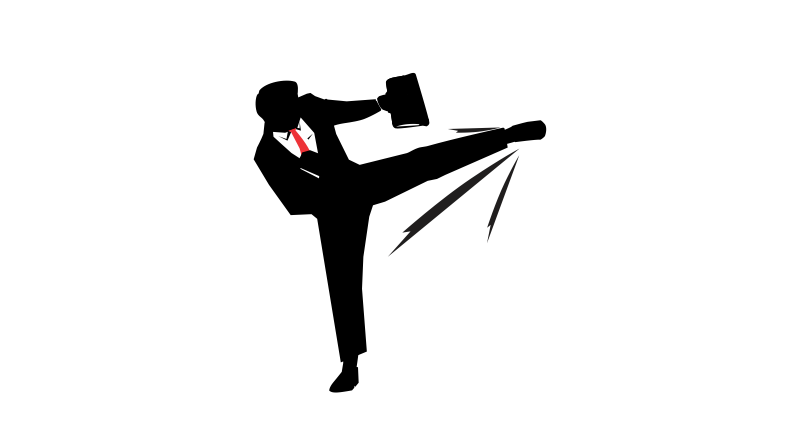 Sales isn’t about getting into a verbal boxing match and seeing who the winner is, it’s not a debate or a competition. You don’t get paid to win the argument or to be “right”. You get paid to close deals, whatever you are selling needs to get sold. You do that by keeping the forward momentum, if a customer wants a blue suit give him a blue suit. Keep the SALES MO going!